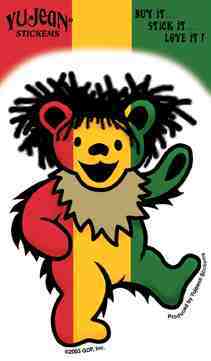 A little Reggae, and a little Grateful Dead and you get a Rasta Dancing Bear Sticker. This Grateful Dead sticker measures 3" x 4". Officially licensed Grateful Dead merchandise.